Mike was born in Seattle, Washington, and lived most of his life in the San Diego area before moving back to Washington in 2003. He’s also lived in Prague and The Czech Republic from May 1996 to July 2001. He is the founder and host of “Soundtrack Extravaganza” at KBCS, which has been airing since November 10, 2005. He created “Soundtrack Extravaganza” for various reasons, primarily to showcase the vast diversity of music styles that have been played on movies and television. He also hosts The Lounge Room. 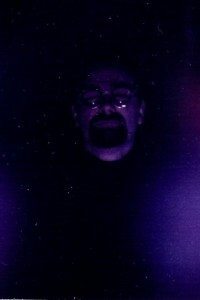 Mike is a Scorpio with a Leo rising, and his aura is purple and indigo in color (see photo).